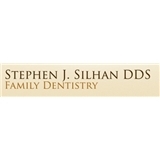 Stephen J Silhan DDS (New York) - Book Appointment Online! My practice is conviently located in the Stuyvesant Town/Peter Cooper Village area in New York City. I am committed to restoring and enhancing the natural beauty of your smile using conservative dental procedures that will result in beautiful, long lasting smiles! High Standards A standard of excellence in personalized dental care enables me to provide the quality dental services my patients deserve. I provide comprehensive treatment planning and use restorative and cosmetic dentistry to achieve your optimal dental health. Should a dental emergency occur, I make every effort to see and care for you as soon as possible. Living in Stuyvesant Town, I am minutes away from the office. Explains all procedures and is very thorough. Doctor is kind and gentle and patient. I highly recommend him.